In this episode from SNW Fall 2012 in Santa Clara, I am joined by my co-host Bruce Ravid (@BruceRave) of Ravid and Associates as we catch up with long time storage industry veteran Claus Mikkelsen (@YoClaus) and HDS Chief Scientist. Bruce and Claus meet for the first time having been around and probably passed each other in the halls at various events, hence, its a small world, however there is always opportunity to meet somebody new. We also chat about SNW past and present, data storage, technologies, networking with people, travel and of course with Claus, touch on wine. 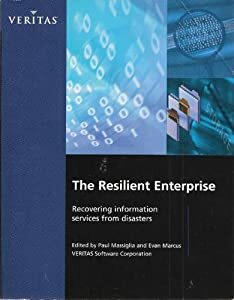 Note that Claus and me were apart of a consortium of people that collaborated on the original book The Resilient Enterprise released in spring of 2012 published by Veritas. Ok, nuff said. Click here (right-click to download MP3 file) or on the microphone image to listen to the conversation with Claus Mikkelsen. Enjoy this episode from SNW Fall 2013 with Claus Mikkelsen.